Highlights: Kovalam Beaches, Padmanabhapuram Wooden Palaces, Devi Kanyakumari Temple, Suchindram Temple, Triveni Sangam, Lands End of India. Houseboat Cruise, Periyar Wildlife Sanctuary, Trekking, Bamboo Rafting, Eravikulam National Park, Tea Museum, Cheeyappara Waterfalls, Bird Sanctuary, River Kayaking, Cycling, Birding, Temples, Tea, Coffee & Spices Plantations, Athirappally Waterfalls, Vazhachal Waterfalls, Fort Kochi, Indo Portuguese Museum, Chinese Fishing nets, Jewish Synagogue, Dutch Cemetery, Mattancherry palace, St. Francis Church, Santa Cruz Basilica. After Breakfast a scenic journey to Thekkady (230 Km from Kovalam 6 hours drive).On arrival check into hotel, refresh yourself & relax. Periyar, India ‘s largest wildlife sanctuary is a dream destination which spread over an area of 777 Sq.Kms, surrounded by an artificial lake over an area of 25 Sq. K.ms Thekkady. 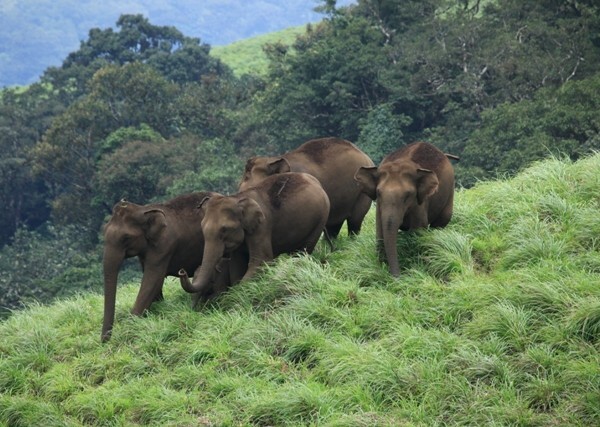 This is one of the richest and most diverse bio-diversity spots in the Western Ghats. Overnight stay at hotel. Apart from Periyar Wildlife Park below written are some other attractions..
Mangala Devi Temple: Mangala Devi Temple is a 1000-year-old temple inside the dense forests of the Periyar Tiger Reserve. Made of huge pieces of granite, it stands at an altitude of 1337 m above the sea level is 15 km from Thekkady. The temple is open to devotees only once a year during the month of April / May for the Chithrapournami celebrations. On this full moon day, priests of Tamil Nadu and Kerala conduct ritualistic prayers at the temple. Chellarkovil: This sleepy little village with its breathtaking view of the plains and cascading waterfalls is 15 k.ms from Kumily. The village slopes down to the famous coconut groves of Cumbum in neighbouring Tamil Nadu. Vandiperiyar: The town is 18 km from Thekkady. 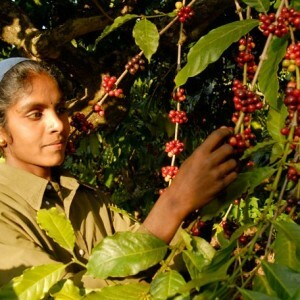 The River Periyar flowing through the centre of this town nourishes its vast tea, coffee and pepper plantations. Vandiperiyar is also home to a number of tea factories. The Government Agriculture farm and Flower Garden. Vandanmedu: This is one of the world’s largest auction centres for cardamom is 25 k.ms from Kumily. A walk through the sprawling cardamom plantations of Vandanmedu is a heady experience. Ramakalmedu: Rolling green hills and the fresh mountain air make Ramakalmedu an enchanting retreat. The hills top also offers panoramic views of picturesque villages on the Eastern slope of the western ghats. After Breakfast Check out from hotel & make a scenic drive towards Munnar (1800 meters above sea level) a scenic journey past mist capped mountains, Coffee, Tea & all Spices plantations, open grasslands lined with Spectacular waterfalls. On arrival check into hotel, refresh yourself & enjoy sightseeing and overnight stay at Munnar. Some attractions here are..
After breakfast a 2 hours wonderful drive will take you to the Bird Sanctuary. Check in to hotel here. This is the richest bird habitat on Indian Peninsula. More than 80% of birds found in Kerala can be seen here. The region is an evergreen low-land forest located between the branches of Periyar River, the longest river in Kerala. Several species of birds, both forest birds as well as the water birds, visit the sanctuaries, and the important ones include Indian Pitta, Ground Thrush, an orange-headed bird, Large-billed Leaf-warbler, Jerdon’s Nightjar, Indian Cuckoo, Darters, Cormorants, Whiskered Terns, Collared Scops Owl, Frogmouths, Pompadour Green Pigeon, Yellow-browed Bulbuls, Drongo Cuckoo which may be easily mistaken for Drongo etc. Stay 2 nights here by enjoying the activities like River Kayaking, Cycling, Birding & Village walks. Day 11 : Fort Kochi (80 Km from Waterfalls–2 hours drive) After breakfast, enjoy a city sightseeing drive to Kochi, check in to your hotel and stay 1 night here. 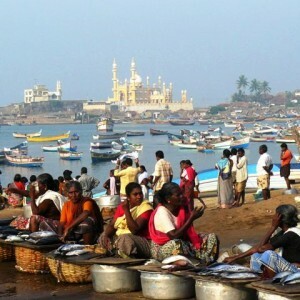 An obscure fishing village that became the first European township in India. The town was shaped by the Portuguese, the Dutch and later the British. The results of these cultural influences still exist here. A leisurely stroll here through its streets in the evening is one of the best ways to discover all that this town has to offer- each and every nook of this island is steeped in history. Attractions here are Indo-Portuguese museum, Chinese fishing nets, Dutch Cemetery, Mattancherry palace, St. Francis Church, Santa Cruz Basilica, Jewish Synagogue and many other things. • All Transfers and Sightseeing by A/c car.